The Lumber Exchange Terminal is located on West Street, in Brooklyn. A factory can be seen in the background, producing a large amount of smoke. 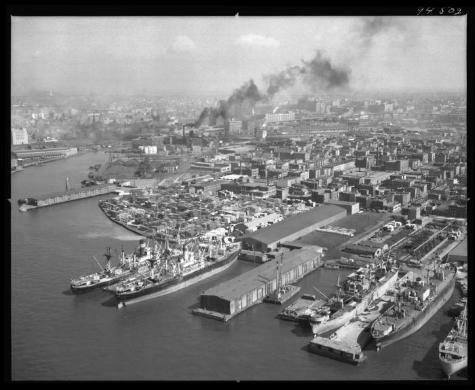 The foreground shows ships docked in the busy port.